Tales of Mead and Honey poster - Kinsale Mead Co.
We are so excited and happy with the outcome of our collaboration with our local artist, Fiona Boniwell, to produce a fun, pictorial story of mead and honey bees in Ireland from ancient times up to the present day. This poster traces the story of mead, honey and bees in Ireland from the arrival of St Molaga in Timoleague in the 6th century to the building of Kinsale Meadery in the present day. Mead has been a part of Ireland’s history as well as flowing through the threads of myths and legends. Includes Red Bonny, Kinsale’s infamous lady pirate, Honeymoon mead, The Great Mead Hall of Tara, beekeepers and saints, Molaga of Timoleague and Gobnait of Ballyvourney, the Bee Judgements of the Brehon laws, privateer, poet and food writer Sir Kenelm Digby, the warrior Cuchulainn bathing in meadowsweet, mead in Norse legends and many more. Fiona Boniwell is an amazing artist and illustrator based in Kinsale as well as an expert martial arts fighter. Originally from London, she studied Fine Art at Kingston University. Since moving to Ireland, Fiona has focused increasingly on illustration and has contributed to a number of books, comics and illustration projects. Free postage and packing. Rolled in a sturdy postal tube and sent using An Post worldwide. Delivery will usually be within 1-2 working days for all of Ireland by An Post/Royal Mail. For the Rest of the World, delivery is subject to the vagaries of your local postal systems! Contact us on +353 (0)21 477 3538 or sales@kinsalemeadco.ie with any special requests or large orders. You can cancel orders up to the day of dispatch, simply contact us by email at sales@kinsalemeadco.ie or phone at +353 (0)21 477 3538. 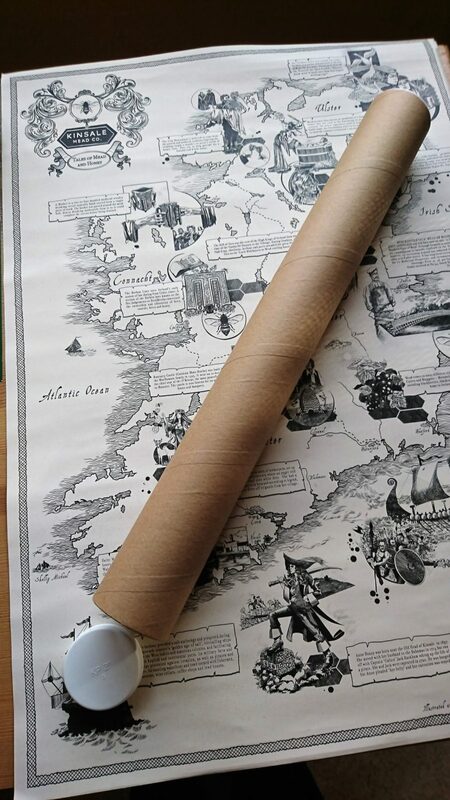 If you are not happy with a poster, a delivery or an aspect of our service, please contact us at info@kinsalemeadco.ie and we will help you in any way we can.